Men have had their entire adult lives to master the art of the bar pickup. Now it’s time to master it online. So instead of complaining that women on dating sites don’t respond, listen up, and start taking notes. Men have had their entire adult lives to master the art of the bar pickup. Now it’s time to master it online. So instead of complaining that women on dating sites don’t respond, listen up, and start taking notes. If your photos turn her off, she won’t be clicking on your profile to find out more or replying to your message. She’s forming an opinion based on everything she sees - your expression, posture, clothing - everything. She’s also going to imagine herself in your photos, so make them exciting and not your standard bathroom selfie. You don’t even need to be the most attractive looking - you can still make yourself irresistible by taking the right photos. On swipe-heavy sites, like Tinder, there's not much effort put into the profile. One catchy line is all you need. 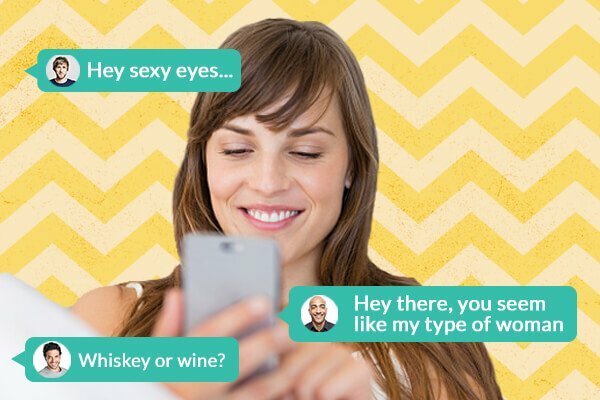 On sites geared more towards relationships, like Zoosk​, you bet women are reading everything you write down. And even what you don't (a lazily filled in profile is her way of knowing you're not that serious). Be yourself, but have a little fun with it too. Emphasize your key attributes, but throw in something playful that lets her know you don’t take yourself too seriously. Your photos draw her in, but it's your profile that will make her write back. Where possible, demonstrate your key qualities instead of just listing them. Guys who say they’re funny tend to be the least funniest of the bunch. If you think you’re funny, crack a joke already. When you’re connecting online, the key is to be authentic but allow your personality to shine through too. It’s a balance between being playful but getting real. On Zoosk​ over 3 million messages are sent every day. Which means women (especially when they first sign up) are getting dozens of messages every day, many of which can be pretty generic. So be sure your first message will help you stand out from the crowd and grab her attention. It doesn’t matter whether you’re just looking for hookups or you want a serious relationship - what matters is that you get crystal clear on this from the beginning so you're not wasting anyone's time. Your messages need to reflect this. If you want something casual, don’t tell a woman you’d like to get her know better, even if it’s what you think she wants to hear. If you want something serious, don’t start by commenting on her appearance. Be aware of the signals you're sending with every word you type. And while this might seem obvious, don’t start your conversation with “nudes?” - you’d be surprised how many guy still open with this one. If you won’t say something to her face, don’t type it to her online. Equality aside, women still love men to do the asking. So if you like her, ask her out already. The worst that can happen is she says no, or wants to carry on chatting a little longer first. And when you do ask her out, plan the date - where you’re taking her, and what time. Don’t say, “What do you want to do?” She’ll appreciate your confidence in taking control (of the first date at least). It’s hard to tell what someone’s thinking or how they feel by text messages, because there’s no emotion to go on. And you know us women - we love to analyze how you’re feeling about us. 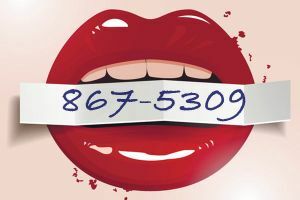 So even though it seems outdated, pick up the phone and call us to have a conversation now and then. We will definitely notice and appreciate the extra effort. And if you’re asking someone out, always call them - text and email are way too impersonal. No one wants to date someone who messages them constantly, introduces the parents too early on, or confesses their undying love by date three. So play it a little bit cool, okay guys? Oh, and don’t play games. Because nobody wins. If you’re not into someone, be a man and tell them politely. If you’re interested, don’t play hard to get. Be honest about it. The right woman will love you for it. 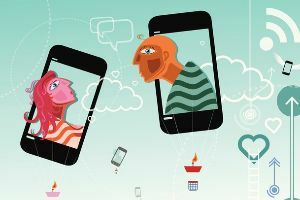 Now take these tips and head to a site like Zoosk, whose smart matching and ease of use just might be the key to making online dating work for you.